Getting your home constructed or renovated? One of the main things you would be considering is the kind of doors to get installed. This is especially true when it comes to the entry door as it is the focus of visitors coming to your home. 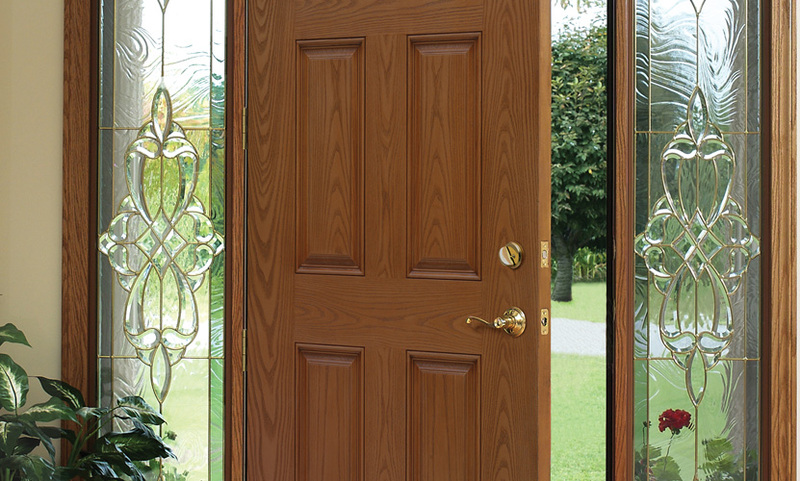 A popular choice for entry doors these days is the fiberglass entry door. Here is why you should consider them for your home. Over the years, fiberglass products have assumed great acceptability by manufacturers and architects. This is because fiberglass as a material has certain sterling qualities because of the way it is made. For the uninitiated, fiberglass or glass fiber is made from fine fibers of glass using specialized technological processes. It is such a versatile material as it can be molded, tooled and manufactured in varying ways. A fiberglass door combines the strong features of the fiberglass material with the aesthetic appeal of appearance of wood. When you install a fiberglass door in your home, you are also ensuring the safety and security of loved ones as well as of your valuables. This is because they offer strong resistance to forced entry by intruders in your home. Some of the other reasons which make a fiberglass door an attractive choice are its resistance to extreme temperatures and weather conditions (such as heat, cold, rain, and humidity) as well as to corrosion, warping, cracking, rotting and termite attacks. They provide energy efficiency as they offer greater insulation than conventional wood doors. Besides that, anything made from fiberglass is definitely durable, environment-friendly and light in weight. It is not surprising that with so many positive attributes, fiberglass door now outweighs the conventional wood door in demand by customers. If you carry out a market survey, you will discover that fiberglass doors can be found in a wide range of sizes, designs, and colors. Before you start wondering if a fiberglass door will gel with the overall architecture of your home, you will be amazed to know that fiberglass entry doors can be made to resemble any kind of wood with natural-looking grain patterns. These include oak, mahogany, walnut, teak and cherry oak. You can also have glass inserts in them which can let the greater amount of light inside while according privacy as well. Overall fiberglass entry doors offer great value for your money as they are longer-lasting, stronger and tougher and have a marvelous aesthetic appeal as well. This makes it highly cost-effective if you compare it with other options in the market. These days, if you buy a fiberglass entry door, it comes with a long-term, warranty for any kind of manufacturing defect. From a top rated Canadian fibreglass manufacturer. Fiberglass is a substance made up of many very fine glass fibers. Although this material first emerged in 1893, the modern fiberglass appeared in 1938. Russel Games Slayter is the person behind the invention of the current glass fiber whose major use then was insulation. Today, this material has many applications and this is why it has become very popular. You can work with it at home as well. All you require is arming yourself with many fiberglass how-to hints. Since this material has diverse applications, there is a lot you have to learn. Let us summarize the how-to hints below. Apply of fiberglass – As mentioned briefly above, this substance has very many uses. First, they use it to manufacture electrical and thermal insulators, which are very necessary for industries. In addition, they use glass fibers to make several sports gears, including hockey sticks, boat hulls, pole vaults, surfboards, and even arrows and bows. One can find Irish footwear for dancing made of these fibers too. Even sound absorption materials manufacture consists of glass fiber. 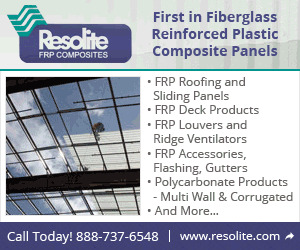 Work with fiberglass – There are many tools that one has to use in a project involving the use of this substance. First, no project would work out without a high-quality resin. It comes in many styles, which explains the reason why you have to choose the best. In addition, a hardener is necessary and you should mix it with the resin. Use a ratio of five parts of resin to one part of hardener. To understand things you should do or avoid with these substances, look for more information. Another item required is a glass fiber cloth. Again, you must use a style that complements the resin. As you shop around for fiberglass, you will realize that it comes with a cloth. This is in case you want to create fiberglass cloth for industrial applications. This fabric has different widths and in the package, you will find instructions. Read these fiberglass how-to instructions to discover ways of cutting the cloth without wasting it. Besides the above requirements, you will need foam rollers and brushes. Even a squeegee will help in getting rid of extra resin. Another tool you require are sanders for finishing. There are several styles available including disc, belt and orbital. You will require a basin or bucket, hot water, soap, acetone, or any other solvents. fiberglass how to Safety tips – As you do any project involving fiberglassing, you must observe safety. For instance, one must know when to start the project and choose secure work sites. You should never work in an area with direct sunlight exposure. Under a shade or covered site, you can avoid the risk of dirt or water tampering with your work. Moreover, you should never expose yourself to risks of suffocation. Ensure proper ventilation or free air circulation by bringing a good floor or wall fan at the job site. If you want to succeed, postpone your project, for fear that a scheduled day is very wet or humid. Resin does come out perfect if moisture settles on it before drying. Repair Fiberglass All by Yourself! 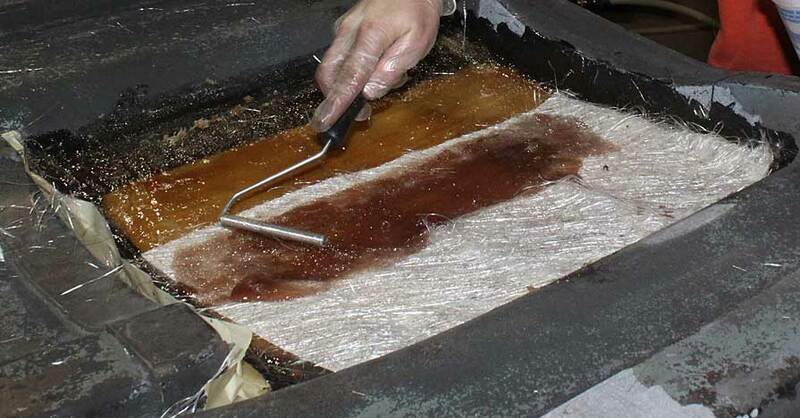 To repair fiberglass, the materials that we will need include fiberglass fabric, razor, dewaxing solvent, grinder, tape, methyl ethyl ketone peroxide, fiberglass mat, polyester resin, gel coat, and resin roller. The first step on how to repair fiberglass is to find where the damaged is because there are damages that can’t be seen outright by the naked eye. There are times when the fiberglass has to be tapped using a hard tool in order to determine the damage. Fiberglass without damage will sound tight when tapped while the one with damage will have a dull sound. Second, repairing fiberglass should start from the inside so that the outside will look seamless. The third step on how to repair fiberglass is to remove the damaged area and then a taper should be created with the use of a grinder. Doing so will allow the repair to be more effective. The fourth step is to use a dewaxing solvent to treat the exterior part of the hole. This is important in strengthening the bond when the new fiberglass is applied. The fifth step on how to repair fiberglass is to use paste wax in coating the area surrounding the hole. Then, a waxed backer must be taped or screwed to the hole’s bottom part. Next, a gel coat should be used in coating the waxed backer. This is where the repair really starts. The next step is to cut out fiberglass mat and fiberglass fabric, following the size of the hole. The mat should be two layers and must be placed first to cover the hole followed by the fabric. This process should be repeated until the desired thickness is met. The hole should now be patched using epoxy or polyester resin as this will also allow the mat and fabric to be secured. If the polyester resin is used, it is advised to also apply a laminating resin because it will help strengthen the bond even more. The next step is to use methyl ethyl ketone peroxide to harden and strengthen polyester resins. And for the last step, the wax backer may now be removed and if there are imperfections in the exterior appearance of the fiberglass, these may be filled in with gel coat. If the texture of the repair is not satisfying, it may be sanded and polished. The steps on how to repair fiberglass are easy. All we have to do is to purchase the materials needed in any hardware store and follow the abovementioned steps. 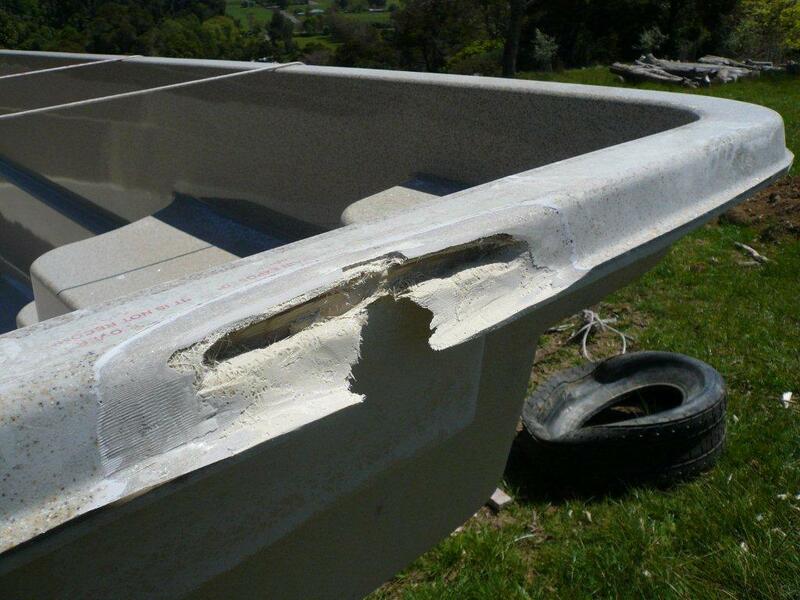 A lot of time and effort may be needed, but being able to repair fiberglass is one satisfying accomplishment.